There are three types of skin cancer: squamous cell carcinoma, basal cell carcinoma, and melanoma. Each type is unique, produces different symptoms, and has varying treatment methods. All suspected skin cancers should be checked by a health professional. Accounting for more than 75% of skin cancers diagnosed, basal cell carcinoma is the most commonly developed skin cancer. These carcinomas are most commonly found on the face, neck, and hands. It is considered highly treatable and rarely spreads to other parts of the body. Symptoms include a sore that oozes or bleeds, a redness area that is irritated, a yellow or white area that resembles a scar, and a pink pearly bump. Squamous cell carcinoma is the second most common type of skin cancer. This skin cancer type usually develops in places on the body that have been exposed to the sun like the ears, the face and the mouth, but can develop anywhere on the body. Symptoms include a bump that turns in to an open sore – ulceration, reddish, flat spot that is sometimes crusty, a bump that gets larger or a sore that won’t heal. When left untreated, it can spread quickly to other parts of the body, like the lymphatic system, bloodstream, and nerve routes. Melanoma is the most dangerous and deadly type of skin cancer. It can develop on any part of the body; however the arms, legs and trunk are the most common areas affected. When detected early, it is considered highly treatable. Symptoms include a mole, freckle, or new/existing spot that changes color in size, shape, and color. It may have an irregular outline and may be more than one color. 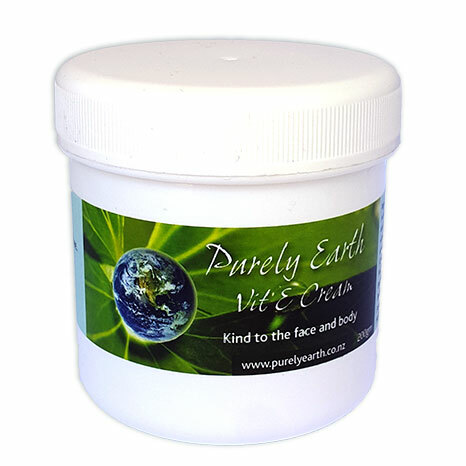 Purely Earth clay has been used to reduce the healing time of wound sites where cancers have been removed. We have also had instances where suspected Basal Cell and Squamous Cell cancers have been packed with our clay and have been resolved. There is one such example in our Customer Reviews section. However, we reiterate that all suspected cancers must be properly checked and Melanomas must NEVER be treated without your doctor’s supervision. If using our clay to pack Basal Cell or Squamous Cell carcinomas we recommend that the clay be used as a pack which is applied thickly and left on overnight. In the morning remove the clay and apply Iosol iodine to the skin. Repeat daily until completely resolved. If there is not substantial change within 10 days, ensure you seek medical advice. For information on how to use and make a clay pack Click Here. If you have been given a topical cream or blood root paste to remove the cancer you can use the clay at night in the same way as outlined above. This will ease the irritation caused by the other treatment and will aid the healing of the surrounding skin. Once the other treatment is finished, continue the clay packing until the area is resolved. 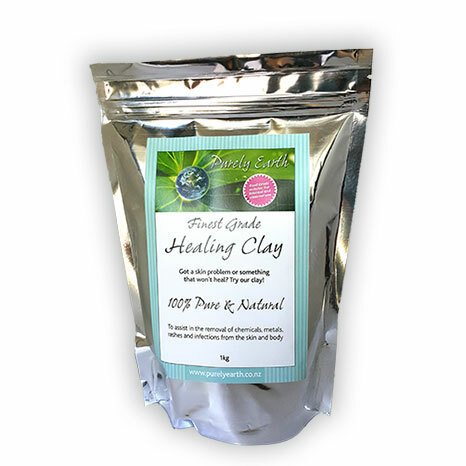 If you have had a cancer surgically removed you can use the clay as a pack daily for 2 hours each time to assist healing of the wound site. Apply Iosol iodine by dabbing it on to the area after removing the clay. Doing the clay and Iodine will also reduce the risk of infection. The body is designed to identify and remove cells which have become cancerous. However, certain nutrients and minerals are required to ensure this process goes smoothly. The following is a guide which provides the key nutrients involved in pre-programmed cell death (apoptosis) and detoxification. There is more and more evidence coming into the arena which points to the role chemicals play in the onset of cancer because of the oxidative stress and DNA damage they can create. 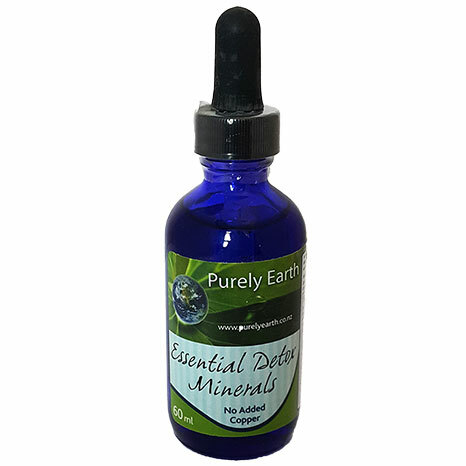 Use Purely Earth Essential Detox Minerals internally. These provide all of the most commonly deficient minerals required to run the digestive enzymes and liver enzymes. Better enzyme function results in healthier cells. Use 2 ml of the liquid per day for adults. Put into water or diluted juice. We often find that more zinc is required. If you have white spots on your nails, use Zinc Picolinate (a special form of zinc) at 1 cap daily for adults. Include Iosol iodine drops in your regime daily. We recommend 2-4 drops daily taken in water away from food. Iodine is essential for regulating cell growth and programmed cell death (apoptosis). Eat lots of green and colourful vegetables and a good quality protein at least 2 times a day. Include a small amount of Celtic salt as part of your diet. Your body needs the chloride it provides to make digestive juices. Do not use table salt – it is high in aluminium and is lacking in trace minerals. Use Dr. Wilson’s Squeaky Clean to populate the gut with the right bacteria and to sweep the gut lining clean. We recommend using this in conjunction with our clay taken internally which effectively binds toxins in the gut. The gut environment is integral to the way your immune system works. Use 1500 – 2000 mg of our liposomal Vitamin C daily. Remove allergens from the diet and avoid chemicals where ever possible. If the above guideline does not cover everything for you, we recommend you contact our practitioner Sarah to help you further. For more details about working with Sarah, go to www.selfhealclinic.co.nz.